L-R Life Member Ron Bridges, Guyren Smith and Life Member John McInerney. Guyren was awarded Clubman of the Year. 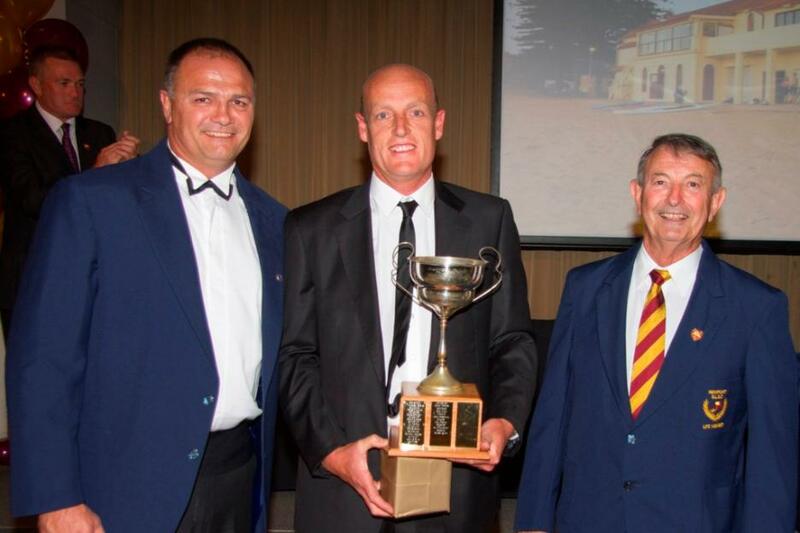 Guyren Smith was crowned Newport Surf Club's Clubman of The Year at a Gala Dinner held last Saturday evening at the Novotel Hotel Manly. Newport club president, Rob Emerson, told the gathering of over 300 members that Guyren spends an enormous amount of time maintaining equipment, assisting with fundraising, providing water safety and officiating on the beach. "Guyren completed 59.25 hours of patrols during the season and he has also held many positions this year including: Patrol Captain, Nipper Age Manager, Accredited Level 1 Official, Trainer Bronze Medallion and Probationary Assessor Trainer IRB. "He is also the Vice Chairman Nippers. our IRB Racing Team Captain and IRB Captain. Guyren is a most worthy the recipient of this most prestigious award. Clubman of the Year," said Rob. "Max Brooks has absolutely excelled this year in competition. It is an award that is becoming more difficult each year to judge as our competition team grows. However Max had a significant year of results. "At the recent Australian Championships he won 6 gold medals, 1 silver medal and two 2 bronze medals. In other words a total of nine medals. Not only has he completed 42 hours of patrols this season, he completed his HSC of which he attained a excellent result whilst training up to 13 sessions a week," Rob Emerson added. Max's results at the Australian Championships were on the back of outstanding achievements at the Branch and State Championships. He was also selected and represented both the SNB branch and NSW team. He was also voted the best male competitor of the Australian Championships. "We are in a very good place at the moment with strong Bronze Medallion numbers and a thriving Nipper movement which gives us confidence for the club in the future. "Membership numbers are healthy and due to the interest in the club we have also created a Friends of Newport category to enable supporters to attend functions, use the club's bar and be kept informed of activities," said Rob. 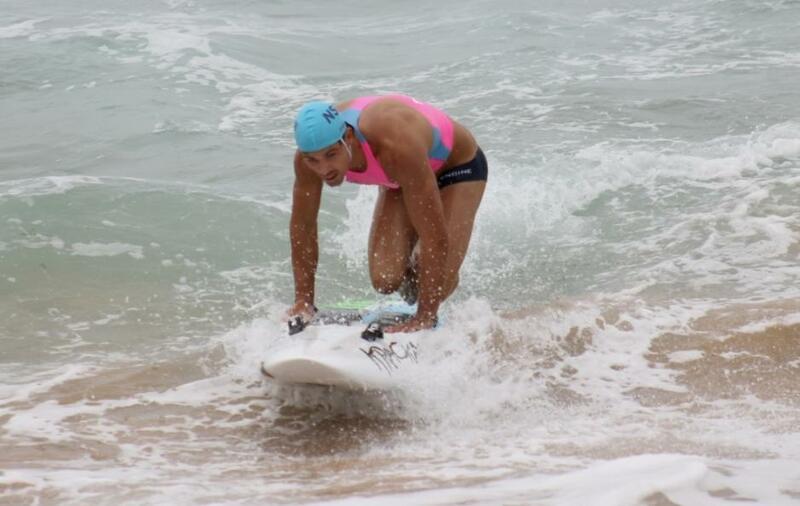 Max Brooks in action at 2014 National Interstate Championships hosted by Newport SLSC - 2013. Picture by A J Guesdon.